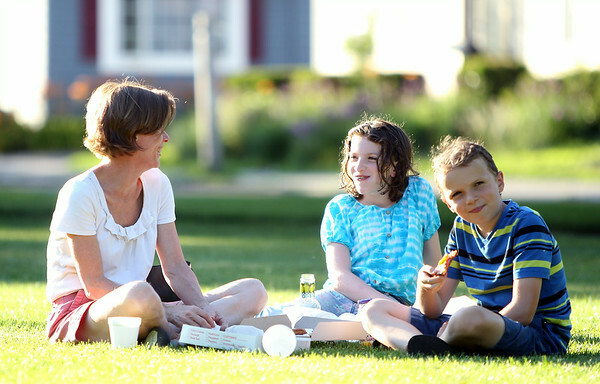 Victoria Hackett, and Emily, 12, and William Baumoel, 10, of Beverly, enjoy a pizza picnic while listening to Quintessential Brass, on Beverly Common on Thursday evening. DAVID LE/Staff photo. 7/10/14.